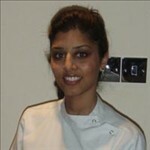 The White House Dental Clinic provides high quality NHS, Private and Cosmetic Dentistry in a modern contemporary environment. A state-of-the-art dental practice using the latest in dental technology and offering high quality cosmetic treatments and smile makeovers. Our aim is to help you make the most of your smile while ensuring that your visits to us are as comfortable and stress free as possible.